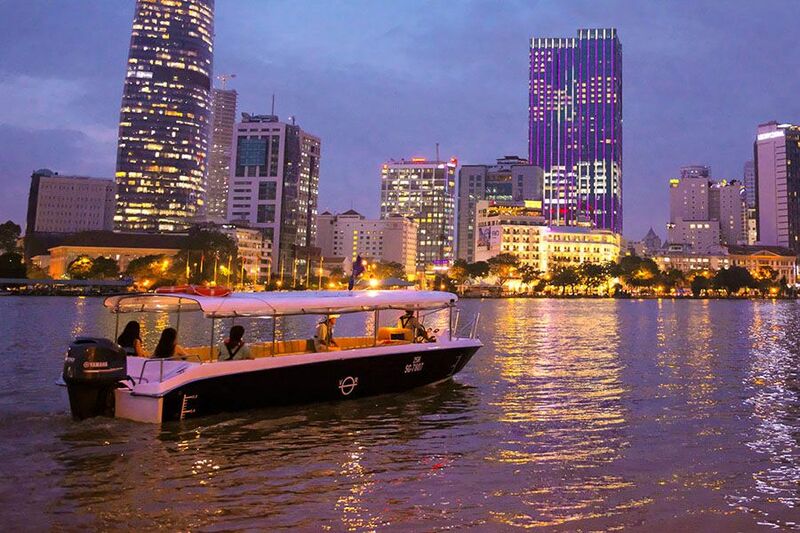 Firstly, the speedboat will bring you to an old area of Saigon, where you can see a mixture of architectural styles, urban sceneries combined with historical objects. 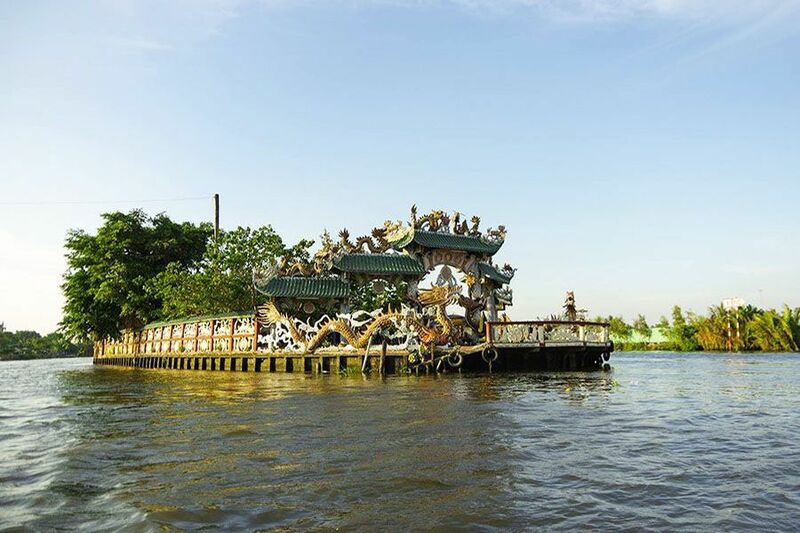 You will pass Nha Rong Wharf (The Dragon House) built in 1863 by French colonialists, where now Ho Chi Minh Museum is located. 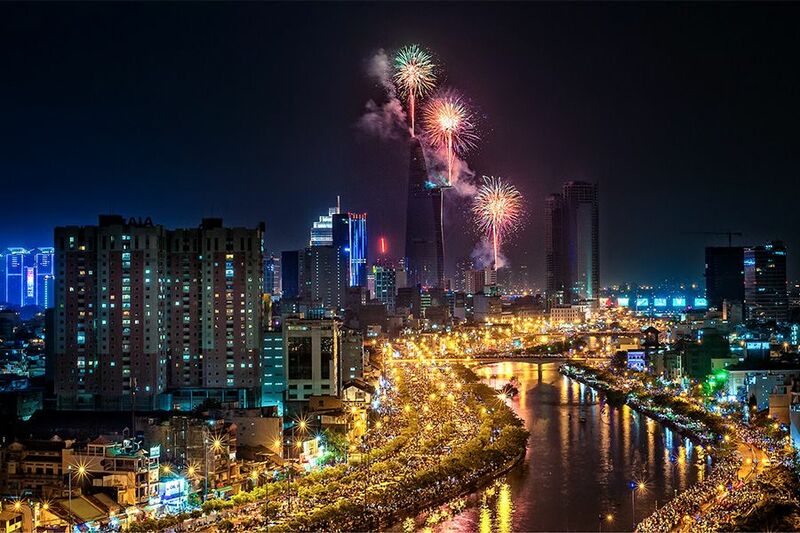 You will see Saigon Port and observe the life of the inhabitants of Saigon by night. 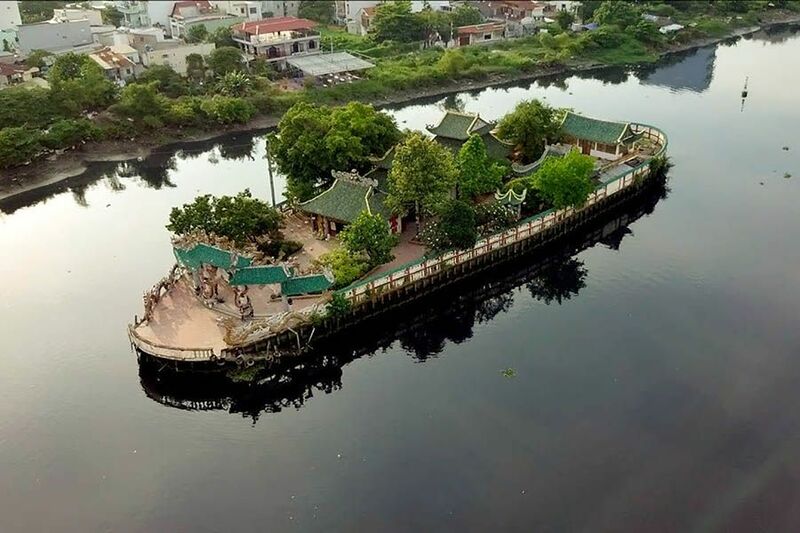 You will also visit Mieu Noi floating temple, built in 18 century in the middle of Vam Thuat River, which is considered to be one of the most unique architectural works in Vietnam. 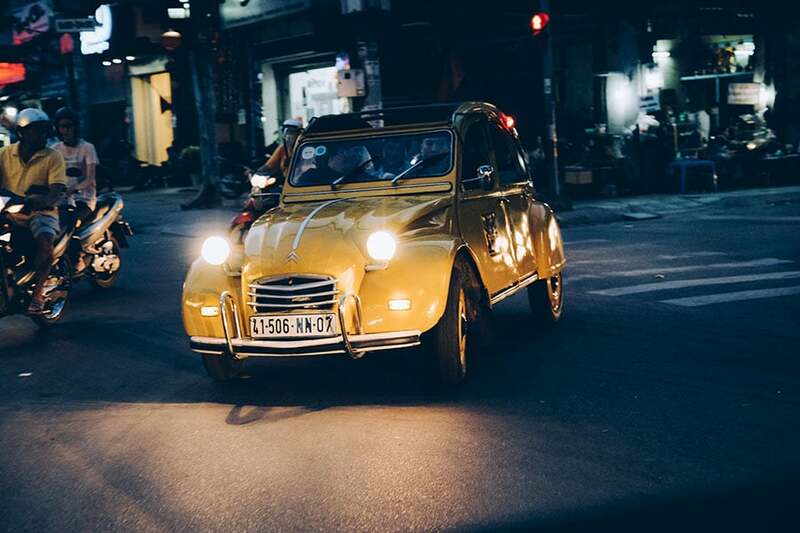 After going back to Tan Cang pier, hop in a vintage 2CV car and drive through the busy streets of Saigon and brings you to the major landmarks of the city. 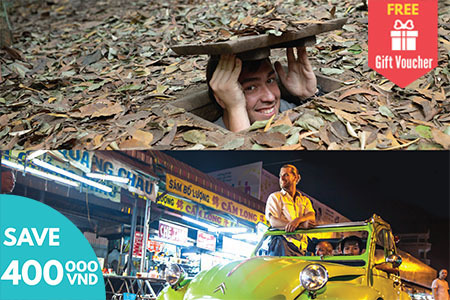 It’s the perfect opportunity for first timers to get the real pulse of the city. 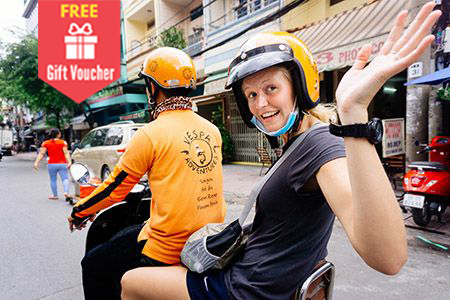 Grab your camera and get ready for the panoramic views and the adventure! 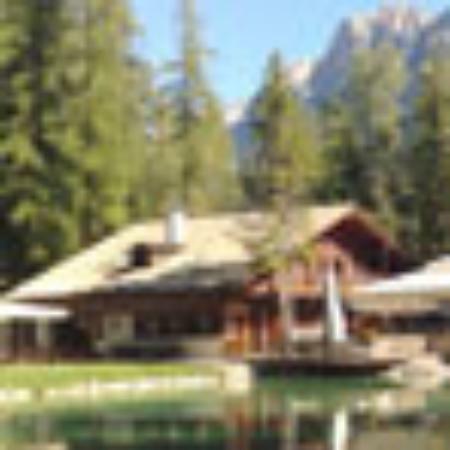 4:15 pm: Depart by speedboat and observe the bustling, historic city from the water. 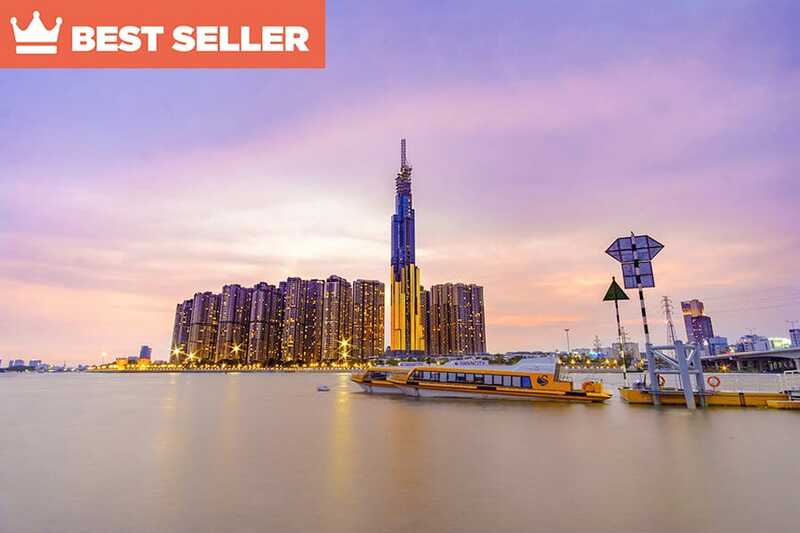 Explore winding canals and tributaries in a setting similar to the Mekong Delta, with traditional riverside landscapes and lush jungle expanses before watching the city’s skyline beautifully lit up at the sunset. 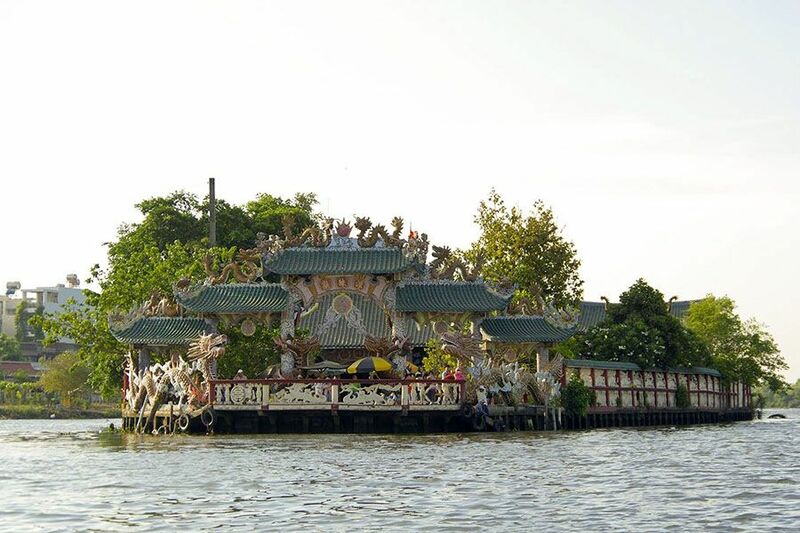 During the tour, you will visit a unique floating temple in Go Vap district, reachable only by boat. 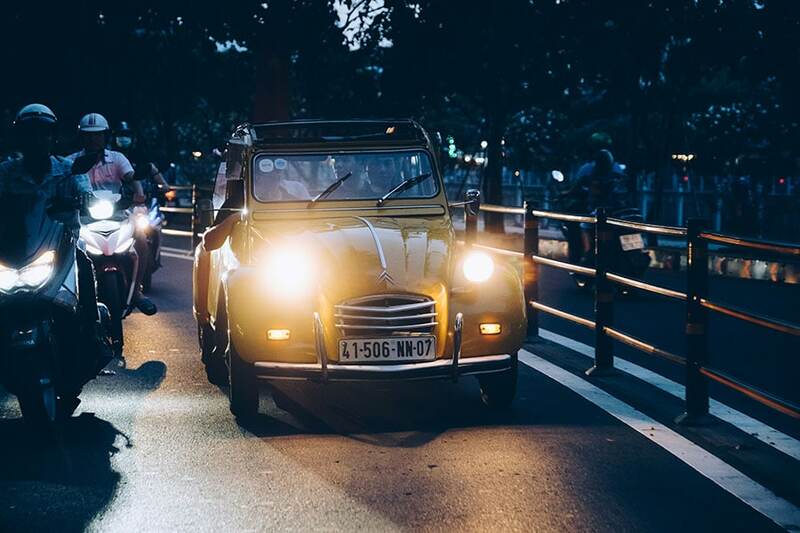 6:15 pm: The boat will bring you back to the city pier where you will be picked up by a beautiful and colorful vintage Citroen car (2 CV or La Dalat). 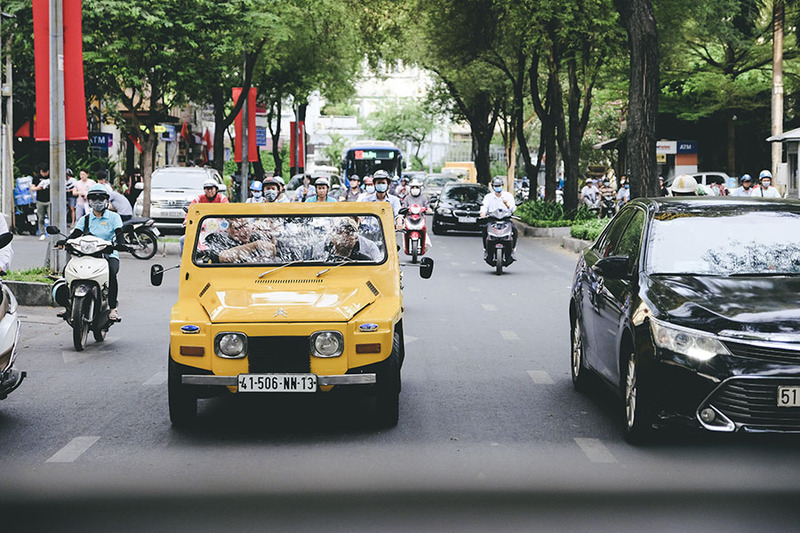 You will drive on Dien Bien Phu Avenue, the longest street in Ho Chi Minh City. 6:45 pm: Your colorful classic car will drive you to the recently restored canal of Thị Nghè for the first stop at a local café overlooking the river. 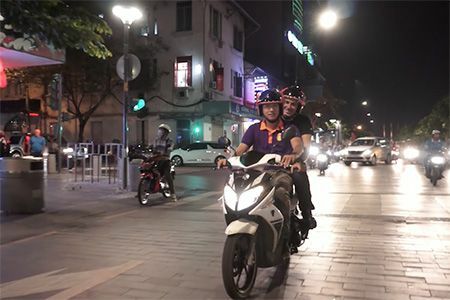 8:15 pm: Your next stop is a local restaurant famous for its “bánh xèo” (A “bánh xèo” is a Vietnamese savory fried pancake made of rice flour and turmeric powder, stuffed with slivers of fatty pork, shrimp, diced green onion, and bean sprouts). 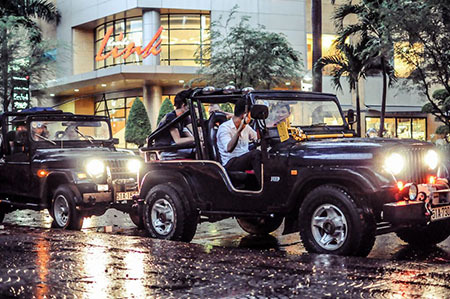 8:45 pm: You hit the road again to reach the illuminated city center before getting back to your hotel around 9:00 pm. 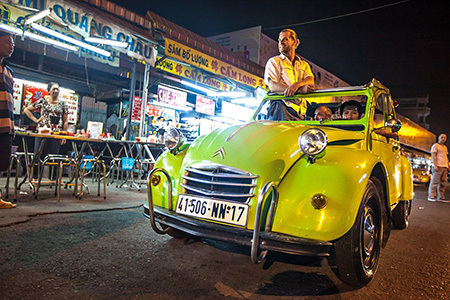 In our Saigon at night by 2CV car segment, you will have an exciting 2CV car ride and explore the major landmark in Saigon that you must visit when traveling to Ho Chi Minh City. 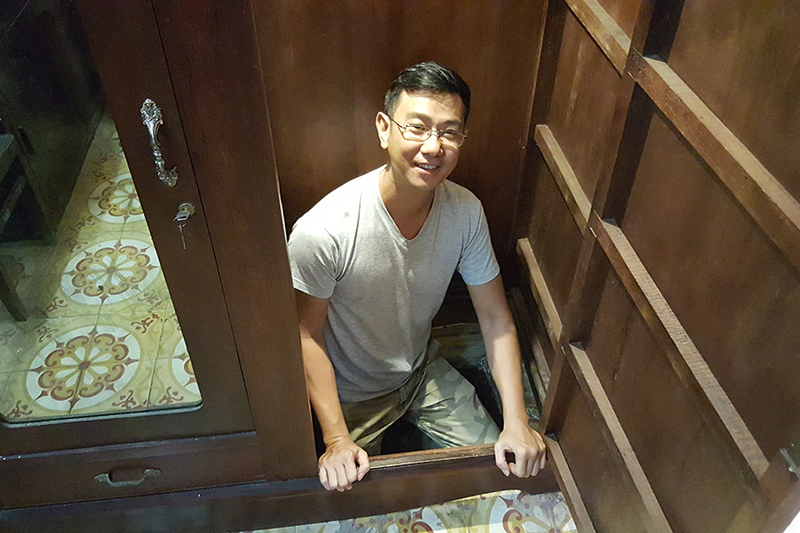 You will visit the Notre Dame Church, the Post Office, Saigon Opera House and the new Nguyen Hue esplanade facing the Town Hall. 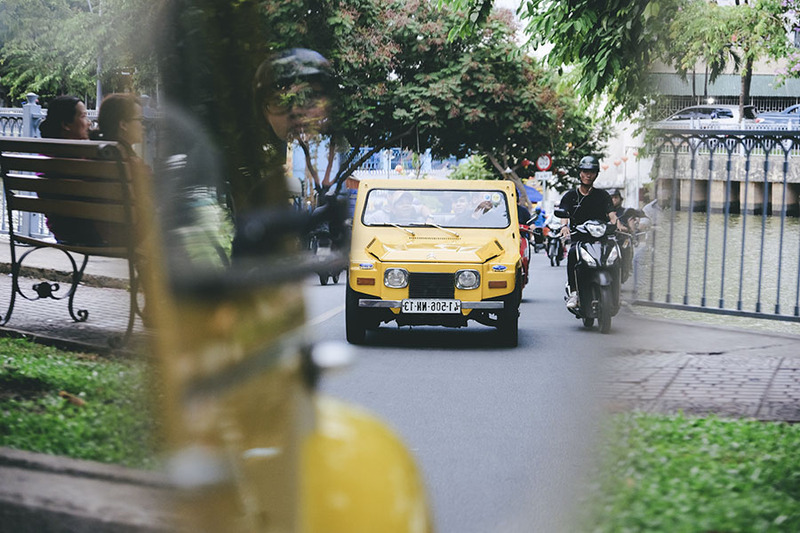 Then stop at a local restaurant famous for its Banh Xeo and enjoy one of the most delicious traditional Vietnamese style pancakes.